Moving can be such a stressful thing, especially if you are doing it by yourself. One thing about that is that you might not be able to move all the items alone. Also, you may not have the experience to do so. Above all, you may not be equipped with the right supplies to help you in the moving process. Since all that process can be very stressful, you need a reliable moving company to help you out. We are a company that is dedicated to serve the entire Singapore with reliable moving services. 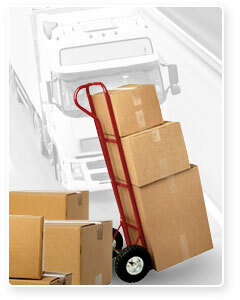 We have been in the moving industry for quite some time and for that, we are well experienced. Singapore is such a big country that can be very much stressful when you need to move. Nonetheless, when you rely on our services, we will help you achieve the best. We offer moving services are reliable and affordable enough. We have a team of well trained movers that know how to handle every type of item in the house. From the smaller items to the large and bulky items. We also have a supply of equipment that help us handle the bulky items. This is almost the most common type of moving that we offer to our clients. We help you move into a new HDB flat or a new condo. Whether you need to move in the next block across the street or you wish to move much further, we will make that happen in a snap. Our trained employees will help you pack your belongings and you will move to your new house within a day or two. Before we get to your place, we usually advise you to organize yourself and the goods. This will give us an easier time to move you into your new flat. We handle every item with total care and there will be no any case of accidents. If there is a new building that has just opened and there are a number of office spaces to rent, you can take that opportunity and move in as fast as possible. With the help of our services, you can be sure of capturing that space and have it as your new office. We have special cases to keep the stationery in the office, so that nothing is lost in the event. The computers and other electronics are also well handled to ensure that they are in the perfect condition. Every office furniture is handled with care and the employees are trained to operate the electronics. This helps us to ensure that all the equipment are not connected to the power, for the sake of reducing the cases of electric shocks. We can help you move the entire building, if you have a big office or even the smallest office. Our services are generally flexible and we ensure that you enjoy the best. You can plan to move over the weekend and be in your new space on Monday the following week. We never want you to close your office just because you want to move into a new space. We understand that there are some areas within Singapore that are well developed that others. For that reason, we help you move within your locality. Regardless of the distance, you will get into your new house and enjoy it as you expect. Whether it is a new flat down the streets or across the road, we never stop serving our clients. Even if you want to go to the nearest town, we will help you get there in the shortest time possible. You don’t have to worry about the expenses, since we will help you achieve the best. Before we get to your current residence, we will inquire about the new place that you want to move into. If it is slightly far, we will release our moving truck. Nonetheless, if it is within the same block or neighborhood, we can have our workers move the items with the specialized trolleys. Even though the truck might drop the workers, you will not be charged for the fuel costs. Many people find it difficult to move successfully because it is challenging to pack their items. The major challenge here comes in when you do not have the right supplies for packing your belongings. Also, if you do not have the right skills and experience, it can challenge you. Our team is well trained to pack the items in the best way that will save up more space and be easier to move. We offer the packing supplies like the boxes and the dust covers as well. In addition, we will help you unpack your belongings in the easiest and quickest way possible. We aim at helping you move into your new space and settle without any stressful situations. We also offer the storage services and we help you keep your belongings in a safe place that is free from devastation and theft. If you have moved into your new HDB flat and it is still under repair and renovation, we can help you store your vital belongings. There are some items, like the Piano, which is very delicate and needs to be stored in the right place. Our trucks have the right technology to store all the delicate items, including the couches. Our services are also insured, so you will be sure of being covered whenever an accident occurs. Even though we highly train our team, we prefer being more cautious. That is why we insure our services. We also offer tips on how to move successfully, without causing you much stress. Our moving services are also available 24/7, so you will be sure of enjoying it whenever you need it.